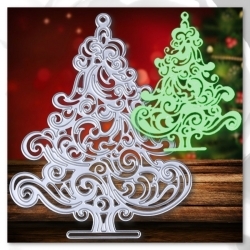 Christmas Cutting Dies There are 34 products. 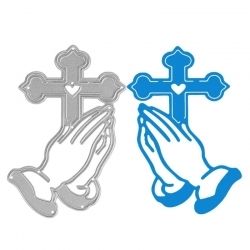 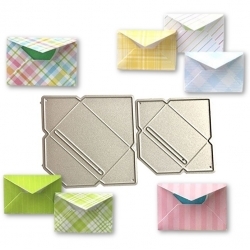 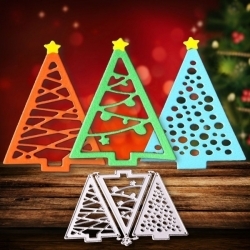 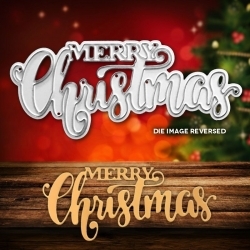 Christmas design steel craft cutting dies, suitable for most personal die-cutting machines. 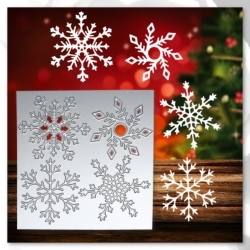 Use die-cut shapes on your Christmas card-making and craft projects. 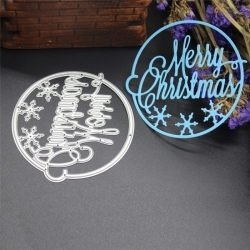 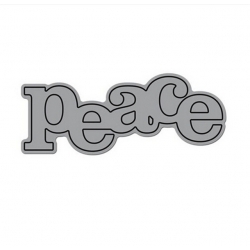 Beautiful steel cutting die featuring a bauble panel, 13 x 4cm.Fits most personal die-cutting machines. 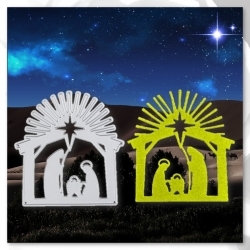 15cm wide Nativity scene, complete with stars. 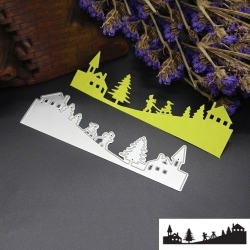 Makes a lovely silhouette scene on A6 cards, landscape way round.Suitable for most personal die-cutting machines. 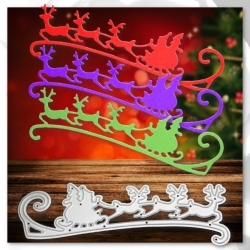 Cute mistletoe and bow steel cutting die set. 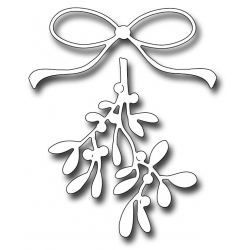 The mistletoe is 4.5cm tall.Suitable for most personal die-cutting machines. 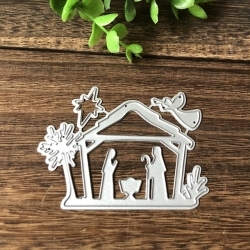 Lovely steel cutting die featuring a nativity scene, great for Christmas cards. 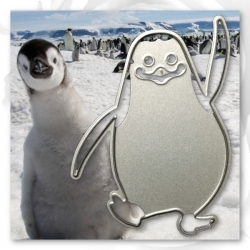 7.8cm tall.Fits most personal die-cutting machines. 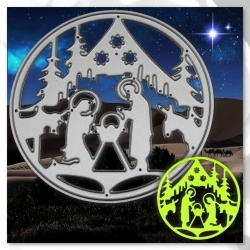 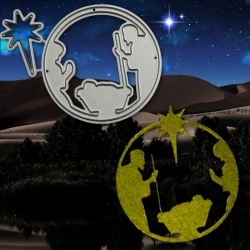 Circular steel cutting die depicting a nativity scene, 7.2cm diameter.Suitable for most personal die-cutting machines. 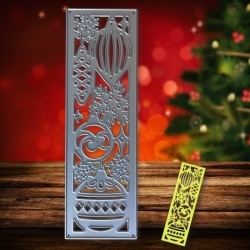 Beautiful flourish Christmas tree steel cutting die, 12.5cm tall and 10cm wide.Use the die-cut as it is or decorate with gems and/or embellishments for an extra-special finish.Compatible with most personal die-cutting machines. 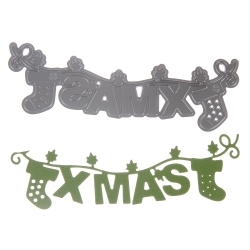 Cute Xmas washing line steel cutting die featuring little Christmas stockings at either end. 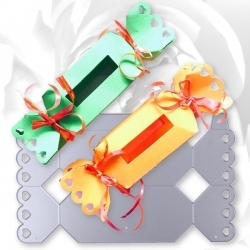 10.2cm long.Suitable for most personal die-cutting machines. 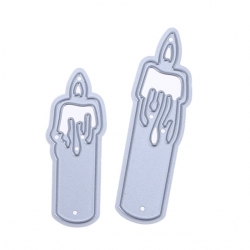 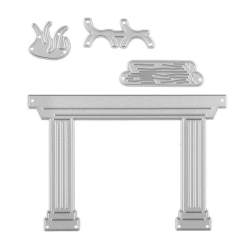 Steel cutting die set featuring 2 candles, great for Christmas cards. 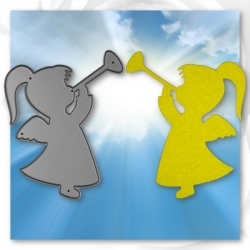 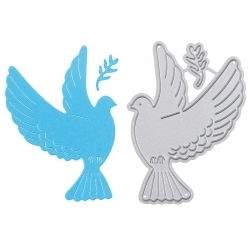 6.5 & 5.2cm tall.Suitable for most personal die-cutting machines. 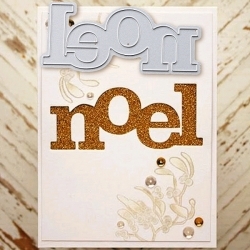 Good size Noel wording steel cutting die, big enough to be the centrepiece on Christmas cards. 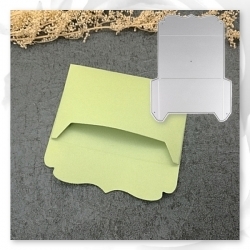 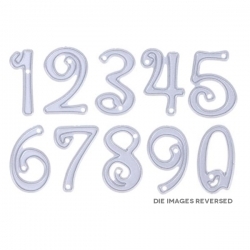 8.3cm wide.Suitable for most personal die-cutting machines. 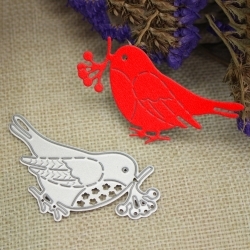 Flying dove and leaf cutting dies, great for Christmas or Wedding cards. 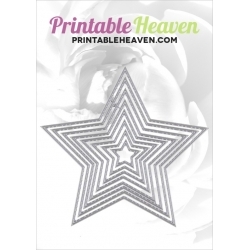 6.5 x 4.5cm.Suitable for most personal die-cutting machines. 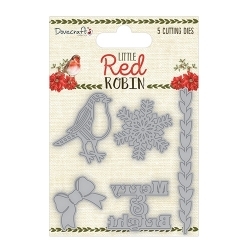 Great metal cutting die set comprising of a wreath and a bow - great for creating fantastic Christmas cards. 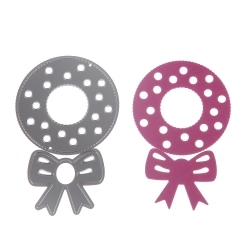 The wreath is 4.8cm wide.Fits most personal die-cutting machines.